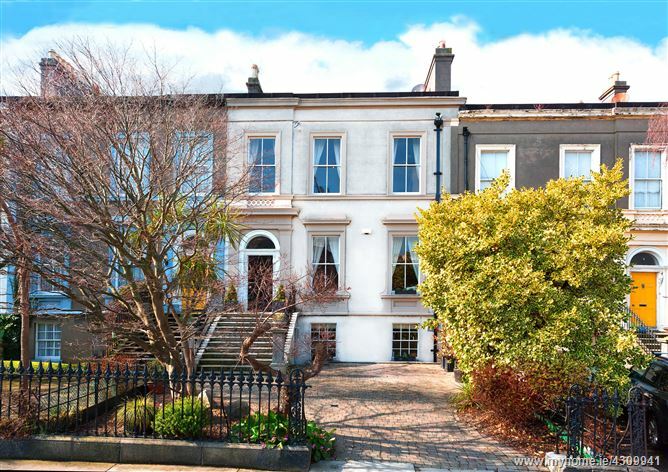 Originally known as Sydenham Terrace, this handsome row of imposing Victorian residences were completed in 1859. 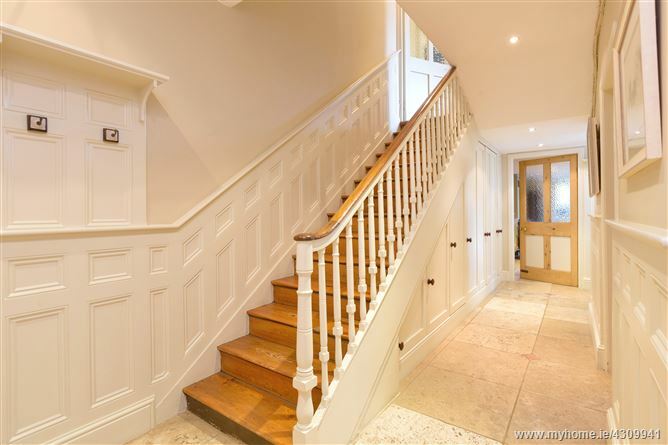 Now known as Sydenham House, Corrig Avenue, this stunning property is a shining example of an exceptionally well cared for and tastefully enhanced period residence which has been meticulously upgraded to exacting standards. 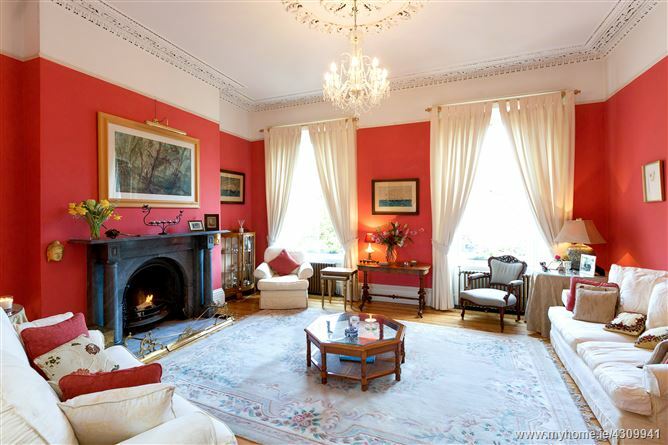 The elegant décor highlights the abundance of beautiful original features that are found throughout including polished wood floors, tall ceilings complimented by intricate ceiling coving and centre roses, feature fireplaces, decorative door architraves and sliding sash windows with working window shutters. 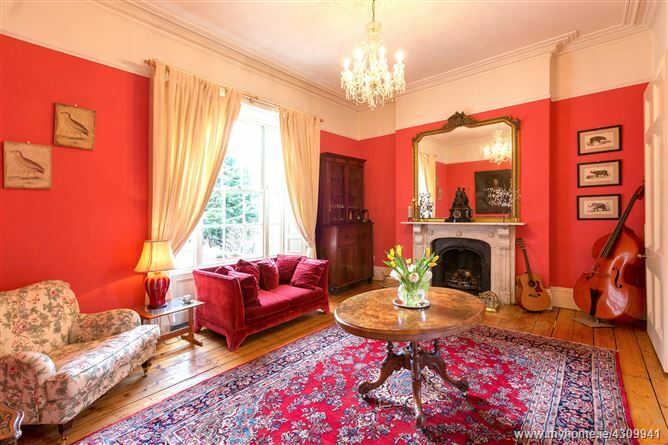 Laid out over three floors with a four storey return, it extends to approximately 337m2 of flexible living and bedroom accommodation, the generous proportions of which set this house apart from the rest. 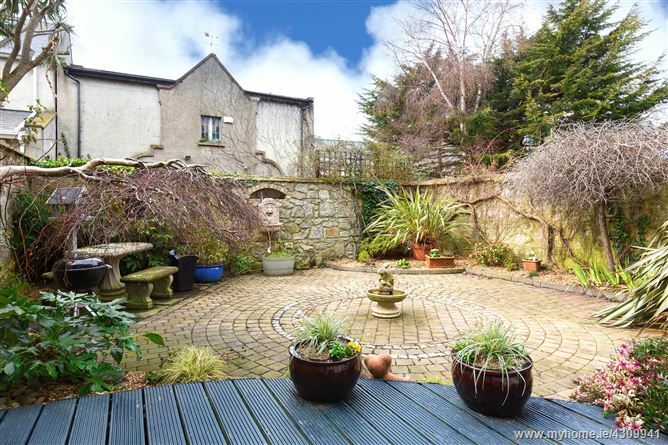 A railed front garden with off street parking lead up to this attractive residence. 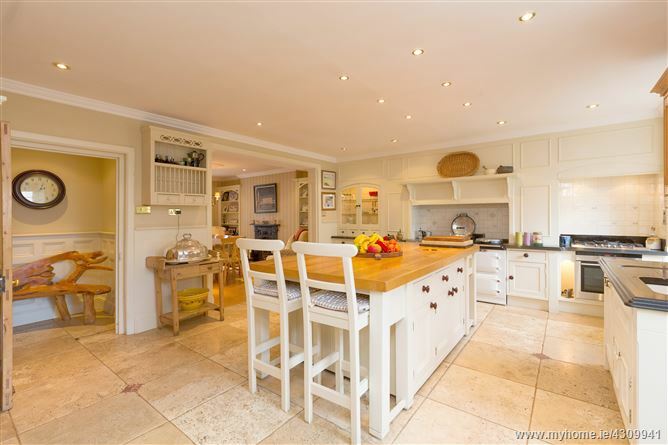 The garden level has its own entrance which leads through to an entrance lobby and in turn through to a very impressive Christophe bespoke designed country style kitchen where the highest quality of craftmanship is evident. 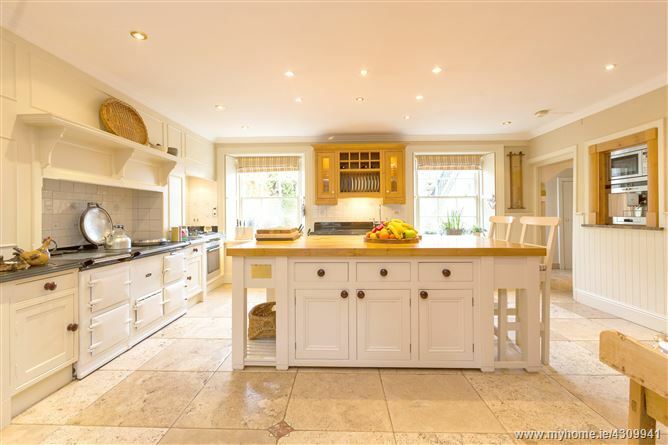 There is a Travertine tiled floor and an excellent selection of solid wood cabinets and display units with black granite work tops and a centre island unit with a polished oak work top. There are top of the range Siemens and Neff appliances and a feature kerosene four oven white Aga. 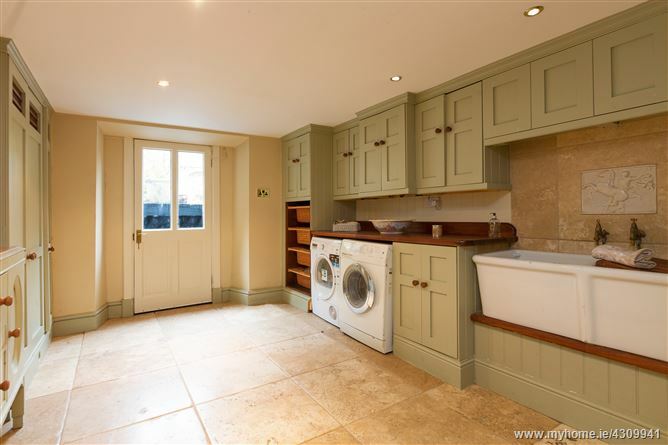 Off the kitchen there is a separate larder with bespoke cabinetry and an American fridge/freezer. 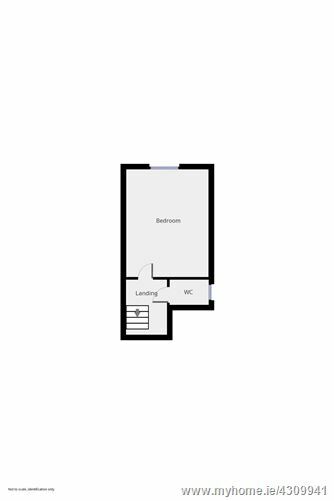 The kitchen is open through to a cosy dinning area with hardwood floors and an attractive feature cast iron fireplace flanked by built in units. 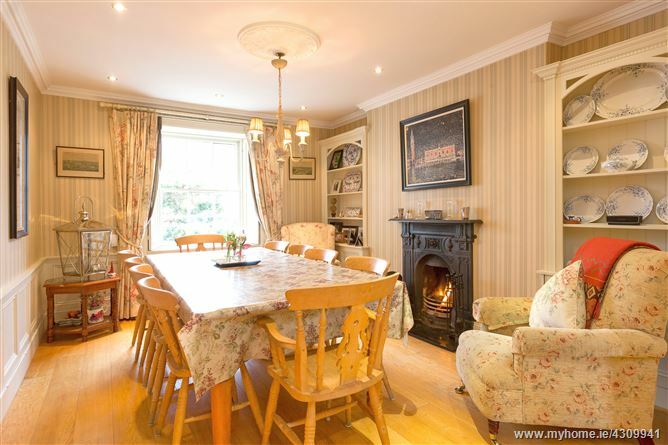 The room comfortably houses a ten seater table. The Travertine tiled floor continues through to the rear hall with half height panelled walls, built in under stair storage and a further storage closet. 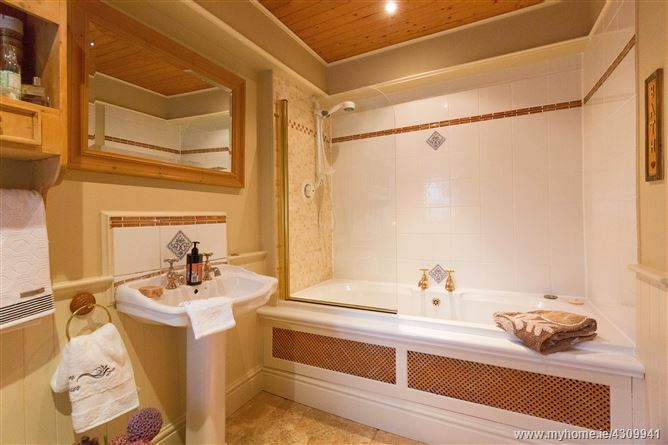 There is a full bathroom with Jacuzzi bath and a fantastic utility room with extensive built in storage. Upstairs the family room features exposed granite walls flank the sliding sash window with window seat, and the feature gas fire with raised basket is set into an exposed brick chimney breast. 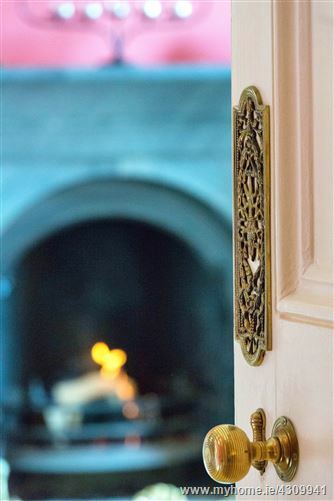 The front door has a fan light overhead and opens into an entrance lobby with marble floor and intricate ceiling coving. 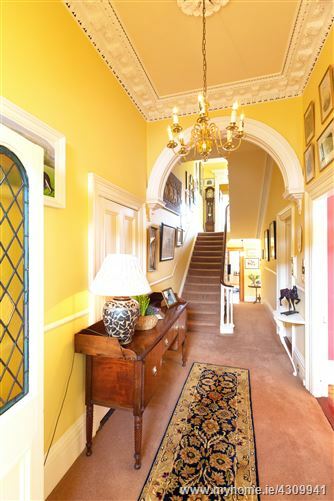 Double doors with stained glass panelling lead through to the entrance hall where a great sense of space and elegance are very noticeable and flow throughout. 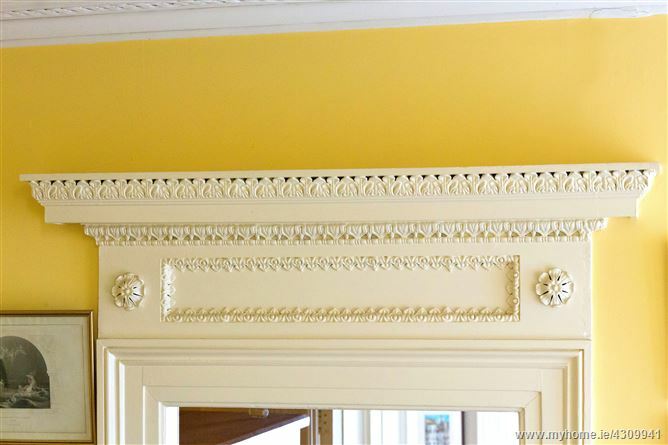 The tall ceilings are framed with intricate cornices and a centre rose while a half arch leads through to the rear hall. Off the hall there are two magnificent interconnecting reception rooms. 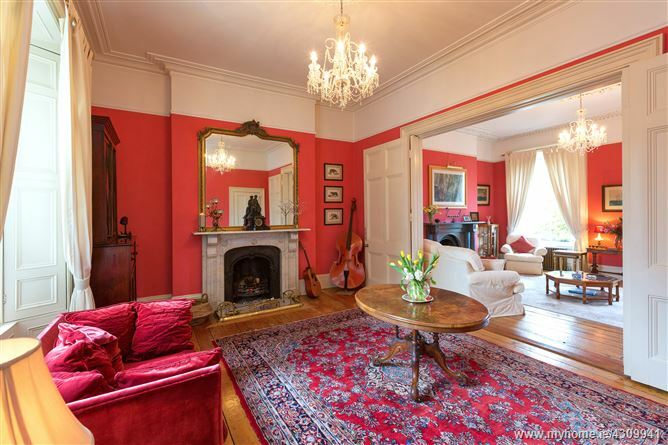 The proportions of these rooms are spectacular and the 12ft. 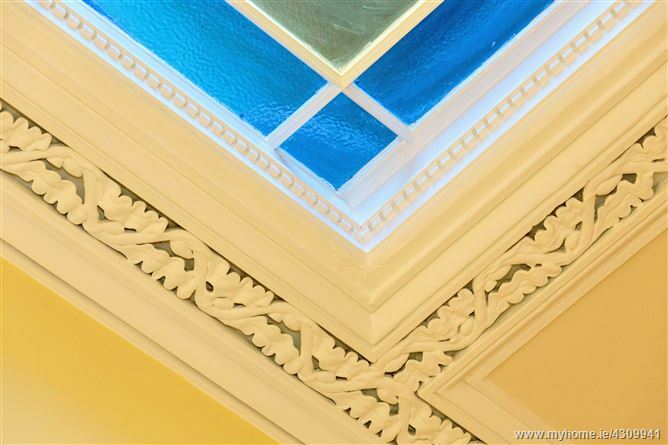 ceilings are heavily accented with ‘egg and arrow, ‘oak leaf’ and ‘prayer’ patterned cornicing along with a beautiful centre rose. 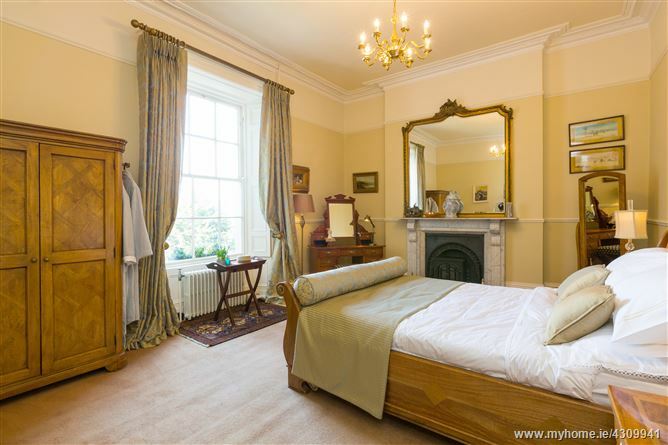 The large sash windows throws natural light in to compliment these wonderful rooms with polished original floors and stunning feature marble fireplaces. 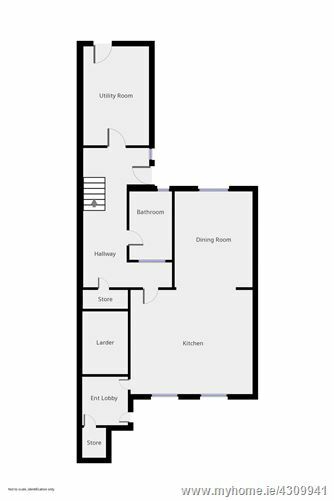 On the second floor return a detailed architrave surrounds a door through to a shower room and bedroom. 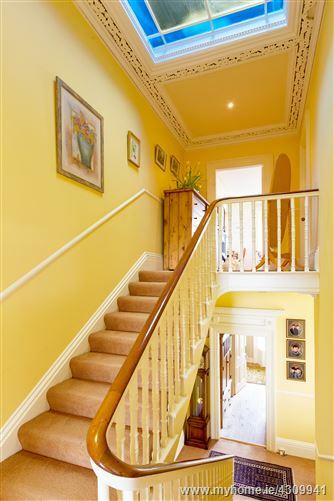 Alight the stairs once more and on the landing of the first floor your eye is drawn up to an impressive stained-glass roof light. 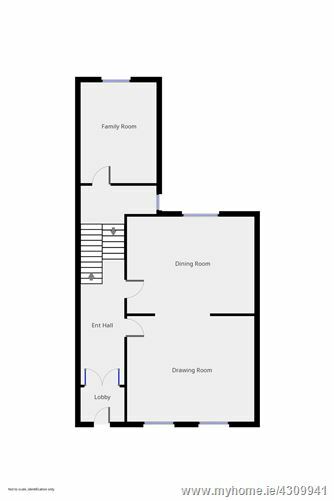 The principle bedroom spans its entire width of the property. 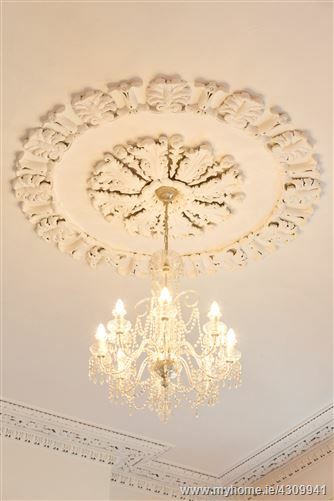 The ceilings are decorated with the same cornicing as the drawing room below and a centre rose. 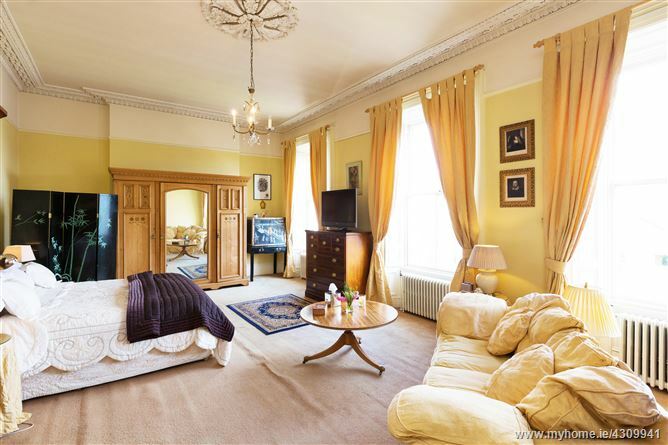 Three large sash windows allow natural light to fill the room adding to the sense of opulence and space. 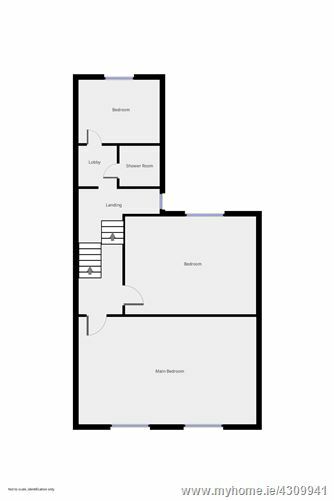 There is a further large double bedroom at this level with a feature marble surround fireplace. At the top of the house there is a further double bedroom with a feature fireplace in sandstone along with a guest w.c.
Today, the new owners of 6 Corrig Avenue will continue to enjoy the delights of coastal living along with all of the benefits of modern day amenities, including excellent local shopping in Dun Laoghaire along with nearby Glasthule and Monkstown, convenient transport links (the Dart and numerous bus routes), easy access to the N11 and M50, several highly regarded schools (The Harold, Dalkey School Project, Rathdown, Castle Park, CBC Monkstown) plus easy access via the Dart to Holy Child, St. Michael’s, Blackrock College, St. Andrew’s and Willow Park. 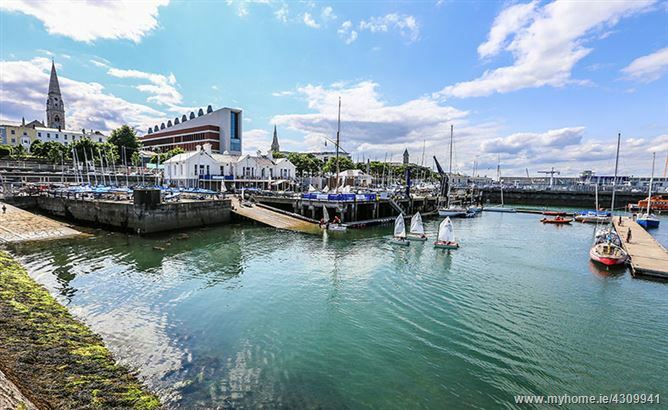 Superb sporting and leisure facilities (including numerous sailing clubs and marine leisure facilities along the coast), and local facilities such as The People’s Park (hosting a weekly farmer’s markets), IMC cinema complex, Dun Laoghaire Theatre and the new Lexicon library, along with numerous local restaurants, boutiques and delicatessens are also close by. 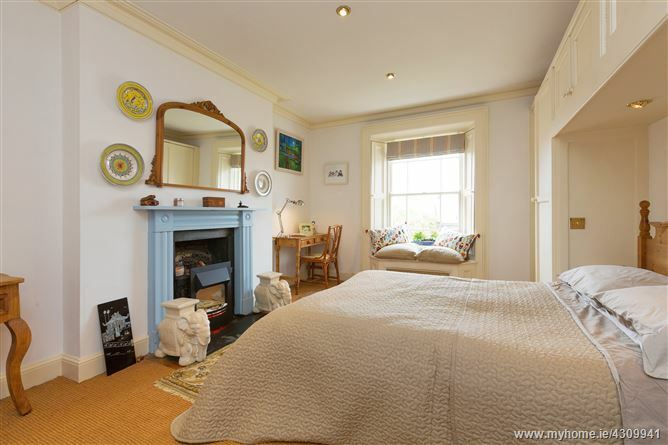 Hardwood floor, sliding sash window with window seat flanked by exposed granite walls, gas fire with raised basket set into exposed brick chimney breast, recessed lighting. To the rear of the house there is a low maintenance west facing garden; a real haven of peace and seclusion. Enter out onto a Liscanor stone patio with a pond and then climb up the steps to an elegant patio garden laid in circular pattern and bordered with mature plants and shrubs and a further pond. It also has a raised decked area. To the front of the property there is a railed garden with pebbled borders containing mature trees and plants. A cobble locked area allows for parking for three cars. 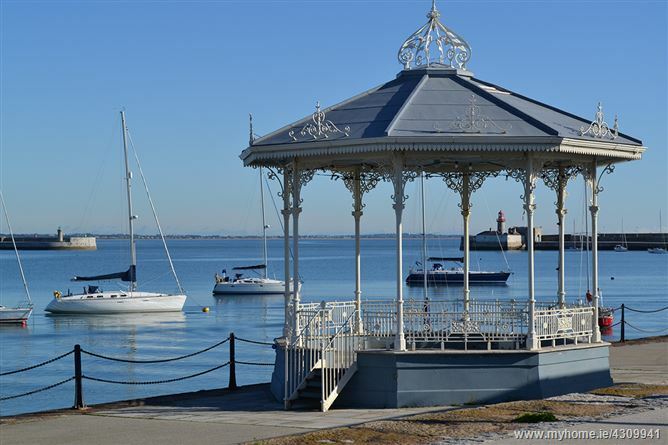 Dún Laoghaire is a charming seaside town, about 12 km (7.5 miles) south of Dublin's City Centre. The harbour, one of the largest in the country, is notable for its two attractive granite piers. The East Pier and the promenade is particularly popular with walkers. 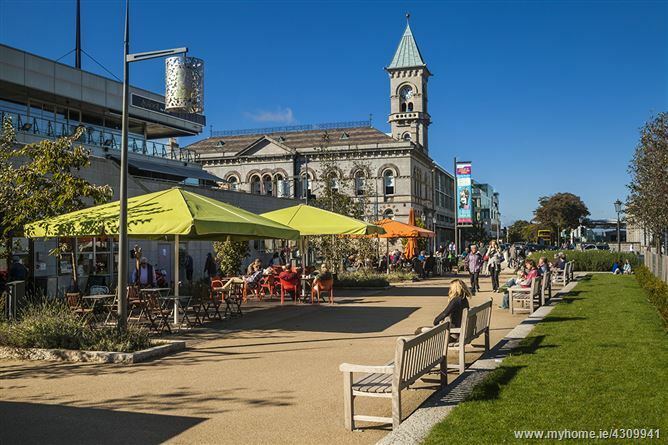 Dún Laoghaire is home to a host of amenities, including a large multiplex cinema, two shopping centres, The People's Park, and countless shops and businesses. Locals are walking distance from the famous '40ft' swimming area, Monkstown Village and Glasthule Village. 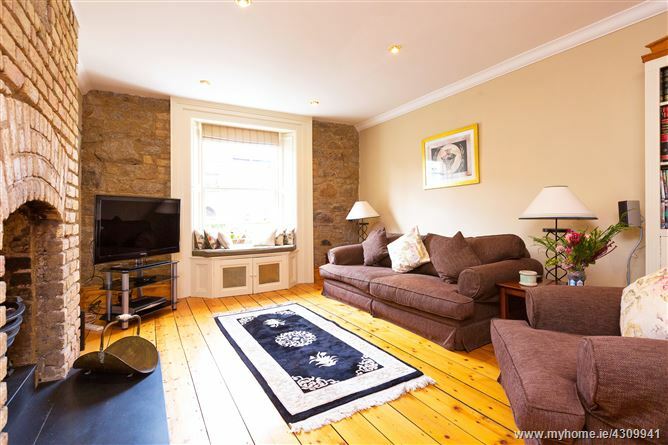 The area is a central hub for public transport, serving as a bus terminus, and it is easily accessible via Salthill, Dún Laoghaire and Sandycove DART stations.